Have You Considered Personality Assessments for Your Onboarding? 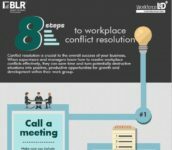 Employers can spend years trying to figure out what makes their employees tick, but a company called Employer Flexible seeks to help employers zero in on the issue shortly after new employees are hired. Personality assessments during onboarding may set the stage for effective workplace interactions. Every company takes a unique approach to training its workforce, and technology is changing corporate universities. From training on core values to professional certifications to leadership development opportunities, Aquilent’s corporate university strives to support employees’ career advancement and, in turn, deliver “enhanced value” to customers. 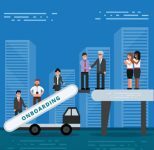 What Makes for Successful Onboarding? By Natasha Bowman, JD, SPHR Yesterday’s Advisor presented the beginning of a concise guide to onboarding from guest columnist Natasha Bowman, JD, SPHR, including how onboarding is different from orientation. Today Bowman discusses several factors that make for successful onboarding. 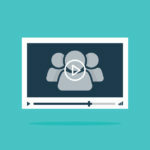 By Donna Lord What exactly are flipped classrooms, and how can a flipped classroom training strategy increase training effectiveness within your organization? As Donna Lord, vice president of marketing and product development for ePath Learning Inc., explains in today’s Advisor, the concept of the flipped classroom originated in the education sector. Millennials will soon make up the majority of the workforce, and Generation Z (Gen Z) is right behind them. What types of challenges are employers facing when it comes to engaging Millennial and Gen Z new hires in the onboarding process? We have a few tips for optimizing your process for these new hires. In yesterday’s Advisor, guest columnist Julia Bailey, senior director of product management for Equifax Workforce Solutions, discussed the issue of regulatory compliance in the onboarding process and the first two of her six steps to success. 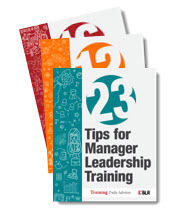 Today, Bailey provides the final four steps of effective—and compliant—onboarding.